Featuring three bars, a massive outdoor beer garden, large TAB area, an elite private function area and our locally renowned bistro with regular weekly specials, the North Gong really is Illawarra hospitality at its best. If it's live sports that you're into then look no further. With all the big games live and loud on our massive seven square metre outdoor screen as well as two indoor projector screens and plenty of big screen TV's, you won't miss an AFL, NRL, Football, or Super Rugby game again. We also show every UFC event so come in and cheer on your favourite team or fighter to victory. Our private function area can cater for a wide variety of functions; these may include 21st & 30th birthdays, wedding & engagement parties, baby showers or reunions. If you have something special to celebrate then let us help you organise it. Situated in the heart of North Wollongong. We're only minutes from North Wollongong Beach and five minutes from the Wollongong CBD, Wollongong Hospital, Wollongong Botanical Gardens, the Illawarra Performing Arts Centre (IPAC) and many other local attractions. The North Gong is a great place to start or finish your night. Anyone who has studied at UOW, lived in or visited Wollongong, has no doubt had a drink, caught up with friends, or tasted the infamous Schnitty at the North Gong. The North Gong Hotel Bistro, home of the world famous Schnitty, offers affordable high quality meals in friendly and relaxed surrounds. Open 7 days with regular specials and chef’s suggestions, the bistro is a great place to bring the family, catch up with friends or grab a meal while you watch your favourite sport on one of our 15+ TV’s. 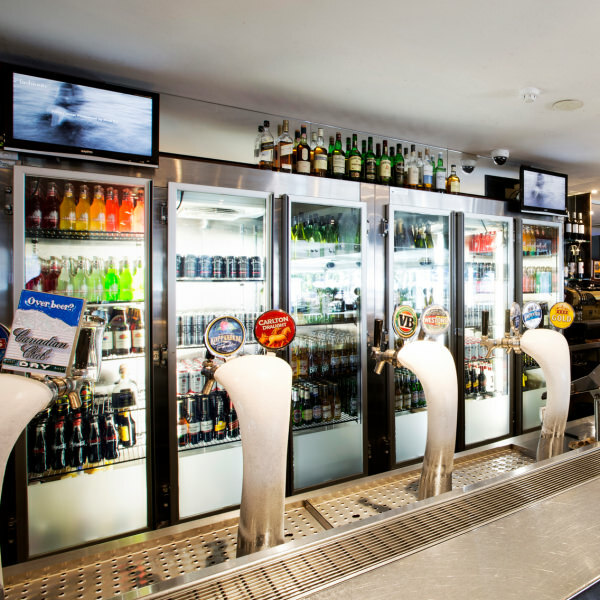 With a great range of beers and ciders on tap, a broad wine list and plenty of spirits and RTD’s to choose from, there is something for everyone in the Public Bar at the North Gong Hotel. When the sun is shining and the music is pumping, there is no better place to be than the Beer Garden Bar at the North Gong Hotel. Why leave the sun shine when our bright and bubbly staff will serve you just metres from your table. We've even got a big screen TV so sit back and relax in the Beer Garden.